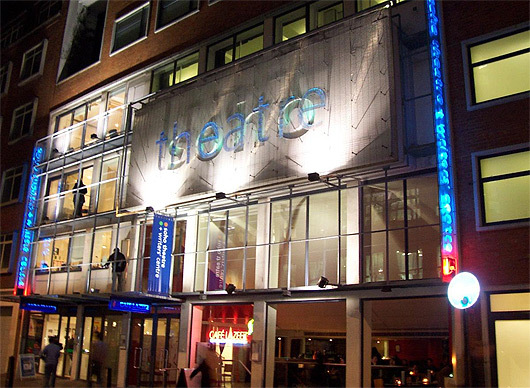 Description: The Verity Bargate Award (VBA) was established in 1982 to honour Soho Theatre’s co-founder and is presented biennially to an artist resident in the UK or Ireland with fewer than three professional productions. Past winners include: Vicky Jones, Thomas Eccleshare, Insook Chappell, Matt Charman, Shan Khan, Bonnie Greer, Toby Whithouse and Diane Samuels. The winner will receive £6000 in respect of an exclusive option to produce the winning play at Soho Theatre, directed by Artistic Director, Steve Marmion. So, what’s so great about it? Regarded as one of the major players in the world of playwriting competitions, the VBA offers one lucky writer no less than a production at the Soho Theatre – and £6000 to boot! They accept full length plays on any theme as long as you’ve never submitted it to the Soho’s Literary Dept before and it is previously unproduced – so start perfecting that masterpiece hiding on your laptop now! Haven’t got anything to send in? Well we’re flagging this one up early for you so you’ve still got 3 months to the deadline on 31st July. You can write the winning play by then, right…? We’re trying something new to make the site easier to browse, let us know if you like Pick of the Week and we might make it a full time thing.